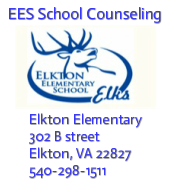 bully problem, (based on the criteria set forth by the Virginia Department of Education). We also discuss strategies for victims and bystanders, if they find themselves in a bully predicament. Developmentally appropriate real-life situational videos are shown to all grade levels, and there are a variety of storybooks used in guidance. The local chapter of the American Medical Association Alliance has purchased for all 3rd and 1st grade RCPS students the published coloring books: You Don’t Have To Be Bullied and Hands Are Not For Hitting, which are distributed in February during guidance class. peer conflict and when a child could be dealing with a bully. IF YOUR CHILD REPORTS THEY ARE BEING HARASSED OR YOU SUSPECT BULLYING INVOLVING ANY RCPS STUDENT, PLEASE CONTACT PRINCIPAL RAD DANSEY, YOUR CHILD'S HOMEROOM TEACHER, OR THE GUIDANCE DEPARTMENT.